Are your walls a little flaky? Do you have a table or cabinet that looks worse for wear? 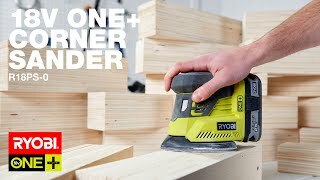 Solve these problems and a host of others with this Ryobi corner sander. 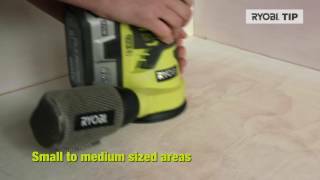 With a variety of handy features packed into its compact frame, this model is the perfect power tool for almost any sanding task. This device's convenient size and clever design (complete with a pointed tip) enable it to handle intricate jobs, such as refining woodwork corners or smoothing nooks and crannies. An ambidextrous comfort grip, which makes this model comfortable for any user. These corner sanders are also part of the 18V ONE+ System, which means they are compatible with any ONE+ chargers and batteries you already have. 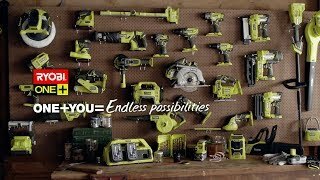 To find this item and browse our other tools and hardware products in person, visit your local Bunnings Warehouse.